When I interviewed Colombian President Juan Manuel Santos, one of the things that most struck me was his claim that if his peace negotiations with the FARC guerrillas succeed, Colombia will grow at more than 7 percent a year, and Colombians - what follows are my words - will live happily ever after. Is that true? Or is Santos wildly exaggerating the potential benefits of a peace accord with Colombia's Marxist guerrillas in order to get re-elected? Before we get into that, let's examine what Santos told me in a wide-ranging interview less than three weeks before the May 25 elections. According to the latest polls, Santos will fail to win reelection in the first-round vote, and is in a technical tie with his rightist rival Oscar Ivan Zuluaga for the second-round vote to be held next month. Throughout the interview, Santos said that Colombia is already "the most solid economy in Latin America," and would be an even bigger star economy if ongoing negotiations with the FARC guerrillas produce a peace accord to end Colombia's five-decades-old armed conflict. He noted that Colombia has already surpassed Argentina as Latin America's third-largest economy, and according to the latest International Monetary Fund projections will grow by 4.5 percent this year, significantly more than the 2.5 percent regional average. "If you add to that the additional growth we would have as a dividend of peace, which would be of about two percent, we would reach 6.5 percent annual growth rates," Santos said. "And if you add to that the impact of the huge investments being made in infrastructure, which will add up to 1.5 percent to our growth rate over the next eight years, Colombia could be having annual growth rates of over 7 percent." Perhaps sensing my skepticism after so many "ifs," Santos added, "Ok, you can split that in two, and you would get a growth rate of 6 percent or 6.5 percent a year, which would be a very positive growth." But how do you know that a potential peace agreement with the FARC commanders would bring about peace? I asked. The FARC has many military "Fronts," which often act independently, and many of them may not abide by a peace deal, I argued. "The FARC still have what they call 'command and control' over their people," Santos responded. While some FARC guerrillas may remain in the jungle and trafficking with drugs, they will become common criminals, he said. Santos accused accused Zuluaga and former President Alvaro Uribe - Zuluaga's key backer - of "spreading lies" about the peace process in order to undermine his government. "They say that I am turning over the country to Castro-Chavismo," he said. "You know me. Do you think I am communist, or Marxist, or Chavista? That's totally off the wall." We talked about several other issues, including Venezuela and Brazil, but at the end of the interview I was left with a clear sense that Santos is banking his re-election bid on expectations surrounding the peace talks. But many analysts are skeptical that a peace deal would boost Colombia's economy to 7 percent annual rates. "That figure is totally inflated," said Alberto Bernal, chief analyst of Bulltick Capital Markets and an open critic of Santos. "About 85 percent of Colombia's economy is already coming from areas that are not affected by guerrilla violence." Daniel Kerner, a Latin American analyst with the Eurasia Group, said that Santos' projection "looks somewhat optimistic." Colombian and foreign investors are more worried about regulatory, infrastructure and environmental problems than about the guerrilla threat, he said. My opinion: Santos is right in saying that Colombia is one of Latin America's strongest economies, and that it will probably grow even faster thanks to the government's heavy investments in infrastructure. But I am skeptical that peace by itself would bring about a flurry of foreign investments to Colombia. A peace accord will not automatically produce peace, because many FARC groups will find it more profitable to continue in the drug business. Also, world prices of oil and minerals - the key industries in FARC dominated areas - are not likely to rise in coming years, which means that the economic impact of a possible peace deal would not be critical. So, while a peace deal would be good for Colombia for humanitarian reasons, I would argue that Colombia's key economic challenge is of a different nature: improving its education standards. Only by having a well-educated population will Colombia be able to produce and export more sophisticated goods, and reach the 7 percent growth rates that would indeed make it a star economy. 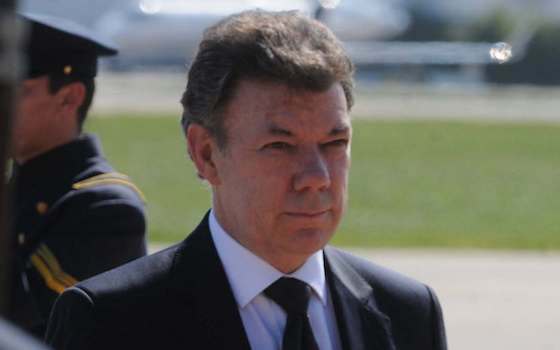 "Santos May Oversell Colombia Peace Deal"